One of the best things about living in Southern California is being able to own your own mobile home. Over time your mobile home will need improvements. Mobile homes are space savers and budget friendly. They also provide an array of options when it comes to renovations or expansions. Mastercraft Home Improvements provides a full range of services for mobile home improvement. You can count on Mastercraft to upgrade the features of your bathroom and kitchen. We also offer flooring, mobile home bathroom remodeling, repairing or replacing the roof. We also provide mobile home leveling, fixing the awnings, adding stairs and decks. That is to name a few! There are many options to increase the space in your mobile home. More space is helpful for adding an office or guest bedroom. We can create the added space you need. Upgrades are guaranteed to add value to your mobile home. Give your mobile home the attention it deserves. Call Mastercraft Home Improvement today for a free quote. We can provide mobile home remodeling and repair. We also do mobile home flooring, mobile home painting, and mobile home leveling. We have photos for mobile home services completed by Mastercraft Home Improvement. Click to see full-size photos. Call us for help with brainstorming. We have experience helping 100s of families with their remodeling projects. Our professional team is trained in all types of refurbishment and building. Our expert advice adheres to all local regulations. We will ensure that all your needs are catered to. From the photos above you can see the best shower for your mobile home. We especially like doing mobile home bathroom remodeling and mobile home kitchen remodeling. Our customers always come first. Master Craft Mobile Home Contractor offers a 100% satisfaction guarantee. Check out our Yelp reviews to see how happy prior clients have been. We provide full services throughout the entire Southern California region. We cover from Palm Springs to Orange County. MasterCraft Home Improvement is committed to Leveling your mobile home the right way. You need to protect your investment with a level home. We have more than 15 years of experience in mobile home repairs. Foundation construction and repair have been one of our top specialties. You will be happy with any repair we perform for your mobile and manufactured homes. Our home remodeling experts can give your project the individual attention it deserves. We offer great prices. 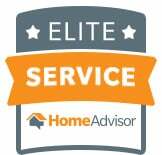 We deliver the home improvements and mobile home services you want with care. You will feel confident in the work we do transforming your ideas into reality. You will work directly with the Owner and Operator. No Middleman! Call today for the information you need to start your next project. We offer lighting, kitchen cabinets, shower, and wall removal. We are also floors, paint, wood garage doors, and air conditioning service contractors. We have a particular love for remodeling for manufactured homes, and mobile homes. We do repairs too!